Broadlands HOA offers nature programs for the community. Visit us often for programs added throughout the year! You can now like the Broadlands Nature Center on Facebook. 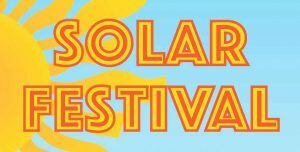 Programs will be held at the Nature Center located at 21907 Claiborne Parkway, Broadlands, VA 20148 unless otherwise noted. Sign up for the Naturalist Newsletter by sending an email to naturalist@broadlandshoa.com so you don’t miss out on up-coming Nature Center Events and Programs. Please contact our Naturalist, Erin Fairlight, with questions at 703-729-9726. Before your visit, please read the NATURE CENTER RULES. adventures and a treasure hunt or two Becoming a Youth Naturalist Adventurer means learning animal care, rehabilitation of injured or lost animals, getting your hands dirty planting gardens for bees and butterflies, and creating classes that you can teach here at the Nature Center. Things you love like emergency shelter building, stars and planets, and anything else that is outside. For more information please contact the Naturalist at naturalist@broadlandshoa.com. The Naturalist facilitates Nature Birthday Parties, badge focused Scout Programs and Homeschool Programs at both the Broadlands Nature Center. Contact Erin Fairlight at naturalist@broadlandshoa.com or 703-729-9726 for more information on scheduling a program here at the nature center. Where is Your Food Grown? CSA Opportunity Right Here in Broadlands! 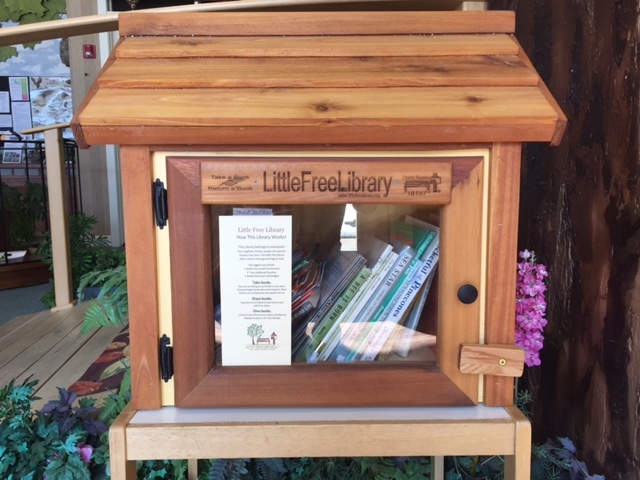 Free Little Library Available Now at the Nature Center: What is a Free Little Library? It is a small model of a building that looks similar to a fancy mailbox or bird house that is used for people in a community to share books with one another. Anyone can take a book, and anyone can leave a book. You do not need to officially check out the book or even to return the same book or the same number of books that you take. Because we are a Nature Center, our library will feature nature themed books and will be a Free Little Nature Library. Broadlands residents and other Broadlands Nature Center visitors will be able to stop by to donate nature themed books to the library or borrow books and return them or to keep them or pass them on. They will also be able to sign the library guest book. If you have any extra field guides or nature books you would like to donate to help us keep it stocked, you can leave them in the box outside the naturalist’s office (next to Sunny the corn snake) in the Nature Center. You can learn more about the Little Free Library movement at littlefreelibrary.org/. Please click on the following link for the Waiver and Registration forms to complete and return to the Nature Center with your payment: Program Forms 2015 – Waiver & Reg Forms.